Emma Coburn. Courtesy of Wikipedia. Six Colorado athletes, all ranking in the top 20, made the cut. When it comes to fitness, Colorado wins. It was named the Healthiest State in the U.S. in 2018, and now our residents dominated Sports Illustrated's rank for the world's most fit athletes. Interestingly, it wasn't the usual pro-sport suspects from our state that made the list; those who made the cut represent a wide range of very-Colorado activities. Five Colorado athletes who call the Centennial State home rocked the women's list. 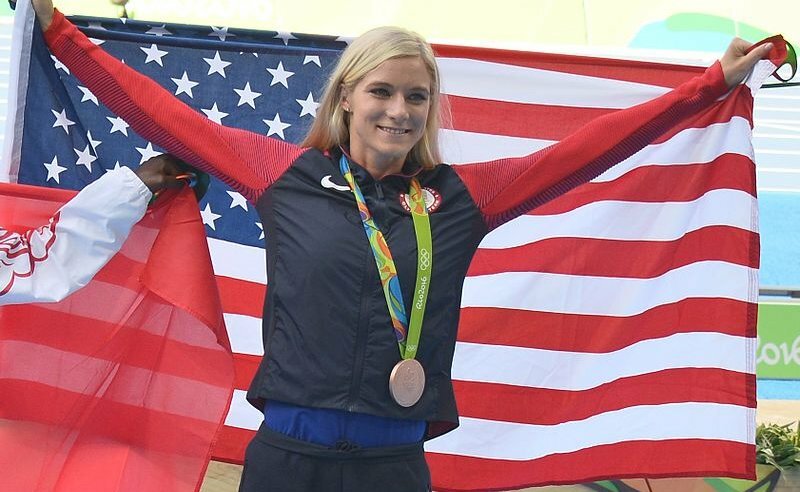 These world-class athletes, all who ranked in the top 20, include Boulder track and field runner Emma Coburn (No. 9); Golden ultrarunner Courtney Dauwalter (No. 12); EagleVail ski racer Mikaela Shiffrin (No. 18); Boulder rock climber Sasha Digiulian (No. 19); and Vail ski racer Lindsey Vonn (No. 20). It should be no surprise that these women ranked so highly. Coburn, a steeplechase runner, Shiffrin, and Vonn are all Olympic athletes. Tommy Caldwell, a rock climber from Estes Park, ranked 15th on the men's list. Sports Illustrated used a panel of experts to come to its ranking, including Dr. Michael Joyner, human performance expert; David Hesse, vice president for performance at the IMG Academy; Dr. Christopher Lundstrom, exercise physiologist and elite distance-running coach; Roy Holmes, EXOS performance manager; and Sue Falsone, physical therapist, athletic trainer and author. Athletes were evaluated on the basis of their performance over the last 12 months, demands and risks of their sports, and training regimes, as well as criteria including power, speed, strength, agility, endurance, and more. The top-three male athletes on the list were No. 1 Saquon Barkley, running back for the New York Giants; No. 2 Christiano Reynaldo, soccer; and No. 3 Giannis Antetokounmpo, basketball. The No. 1 fittest female athlete, according to Sports Illustrated, was Simone Byles, Olympic gymnast, followed by No. 2 Caterine Ibarguen, track and field, and No. 3 Tia-Claire Toomey, CrossFit. What do you think? Are you surprised by the results? Let us know in the comments below. A Colorado getaway for every month of the year!